Brian lives in Thailand, about 1 mile away from one of the largest tektite buying stations in Thailand. he regularly goes there to sort through new arrivals and see if there is anything special/unusual. 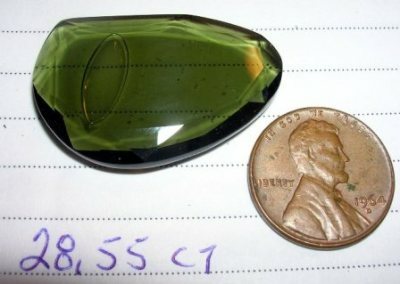 Brian has a huge tektite collection including Moldavites, Darwin Glass, Libyan Desert Glass and various tektites. His company A. A. 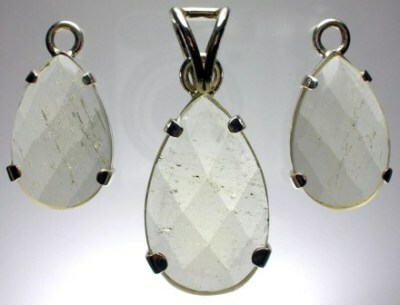 Jewel facets gemstones. 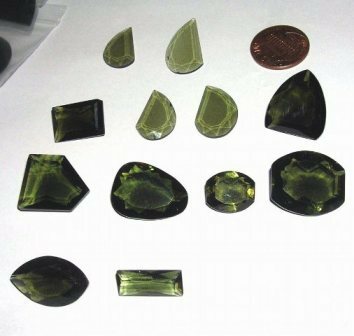 Brian specialises in faceting and carving tektites for many large tektite distributors. The contact with these tektite distributors allows him access to some of the finest specimens. If you have any serious enquiries about faceted tektites or wish to learn more or make contact then visit Brian's website at A. A. Jewel. 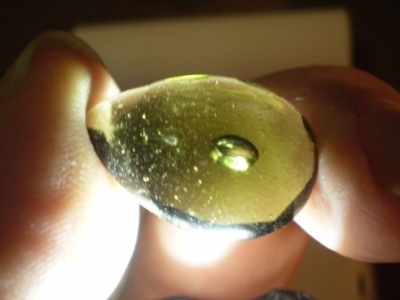 You can be assured that the moldavites and tektites from Brian are genuine. Sadly there have been a number of fakes from Thailand, Hong Kong and China - this should not put you off dealing with the honest guys in Asia. I think the quality of Brian's tektites speak for themselves. 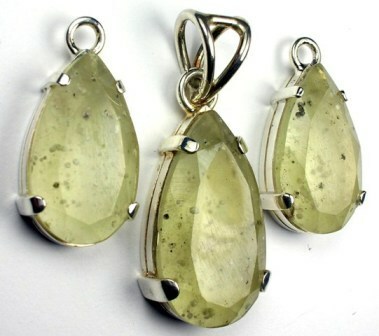 ABOVE: Libyan Desert Glass is actually found in Egypt, close to the Libyan border! 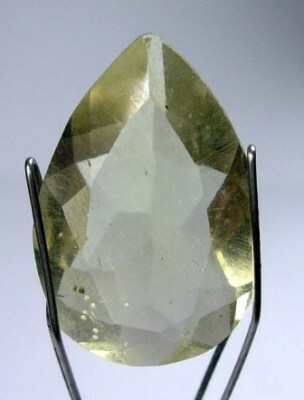 LDG, an impactite rather than a true tektite, is not commonly forged. 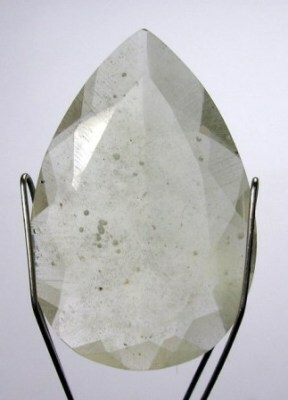 Nonetheless, look out for the natural imperfections in the stone (christobalite, lechatelierite, bubbles, whisks of darker material). 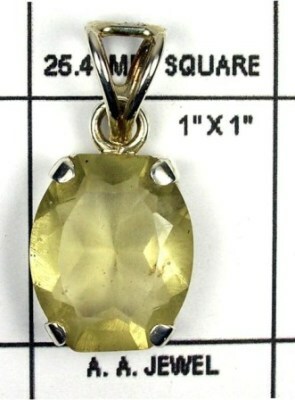 Beware of any 'perfect' stone and always deal with reputable dealers / recommendations. 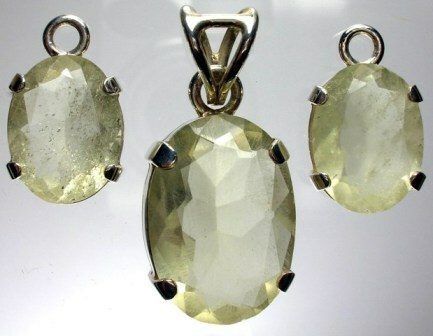 ABOVE: A number of genuine Libyan Desert Glass pendants. Not only are these visually appealing, but they are a great way to view the interior of a tektite (or impactite). 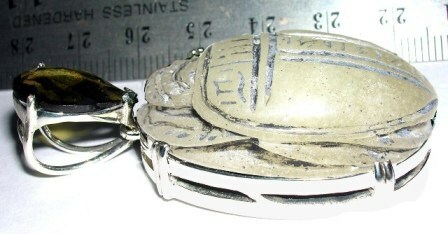 ABOVE: A LDG scarab pendant. 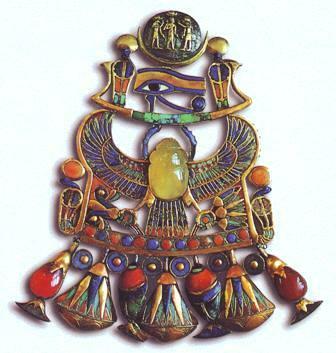 ABOVE: The original scarab in Tutankhamen's pectoral. This one isn't in Brian's collection! From de Michele (1998). 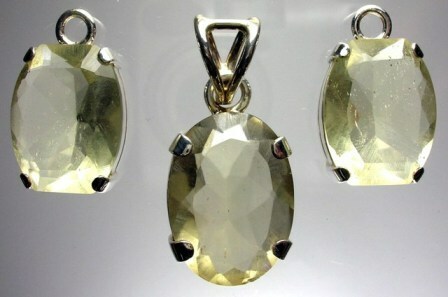 ABOVE: Genuine faceted moldavites. Note the variety of colours in these genuine pieces. 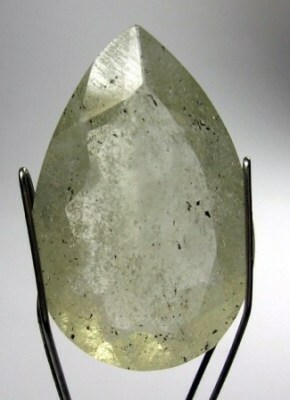 Faceted moldavites are commonly faked, mainly in China. 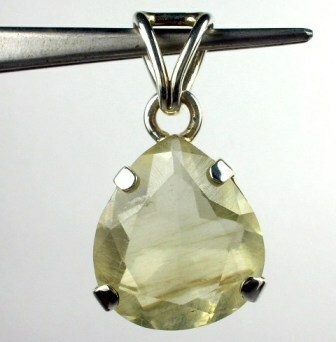 A faceted stone is harder to determine if genuine than a stone with a natural surface. 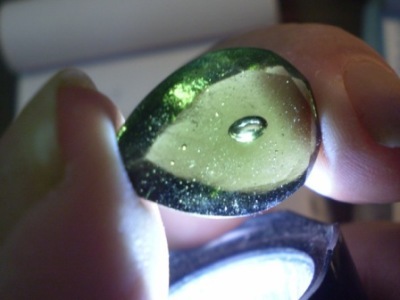 Natural moldavites have a range of colours and will show natural imperfections, like bubbles and streaks of lechatelierite. 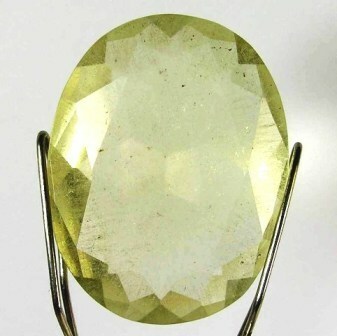 Beware of perfect bottle green or blue-green stones, or a set of stones with precisely the same colour and with no imperfections. Always buy from reputable sources. ABOVE: Check out the bubbles in these genuine moldavites!